A Bob's Life: My Take: What Does it Mean? We are a distracted nation. Our passions are consuming us regarding disrespecting the national anthem and our flag, yet the world is scarcely taking notice. The enemies of peace loving peoples are continuing their assault upon the very fabric of our society. Added to this, there have been devastating hurricanes and earthquakes across the face of the world. Our news media has lost focus on the relief efforts and have stopped encouraging us, as a nation, to step forward and support the rebuilding efforts for millions of Americans and all nationalities across the Caribbean. 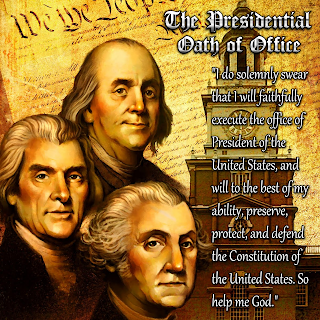 The Presidential Oath of Office, as prescribed by the Constitution, reads as follows: "I do solemnly swear (or affirm) that I will faithfully execute the Office of President of the United States, and will to the best of my Ability, preserve, protect and defend the Constitution of the United States." The key part, in my mind, is the very end: ". . . and will to the best of my Ability, preserve, protect, and defend the Constitution of the United States." This statement, by itself, defines the ultimate job of the President. This, then, becomes the point where it is important to separate the person from the position. 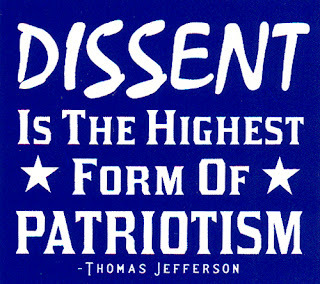 It is OK for the person that occupies the office of President to have an opinion and to feel strongly about issues, but as the President and the defender of the Constitution, protecting the right to disagree and dissent means supporting those who take a contrary position in a professional and understanding manner. My Take: We live in a country where the right to disagree is protected by the Constitution. This is materially different from a monarchy or a despot-controlled country where personal rights are not protected.